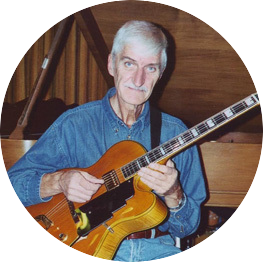 Barry Cooper is a Ventura jazz guitarist available for weddings, parties, and other events in Ventura and surrounding areas. Barry arranges popular songs for solo guitar such asGirl Talk by Neal Hefti’s, Here, There, and Everywhere by the Beatles, Mood Indigo by Duke Ellington, and ‘Round Midnight by Thelonious Monk. For more info and to listen to audio clips please click here.